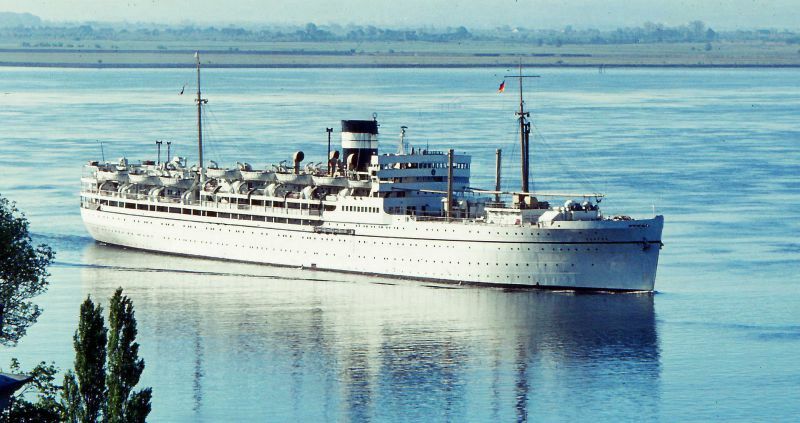 I remember her well, she used to refit annually at the then Malta Drydocks, the smell of Indian cooking, prevailing all over the ship, even in the engine spaces.This ex-troopship was converted to a school ship cruising around the Med with hundreds of schoolboys. It is well worth looking up this ship on Wikipedia. This photo has been shown 293 times since it was added to the site.